The Humana Pharmacy Mobile app makes it easy to manage all your Humana Pharmacy® prescriptions—both maintenance and specialty—right from your mobile phone. 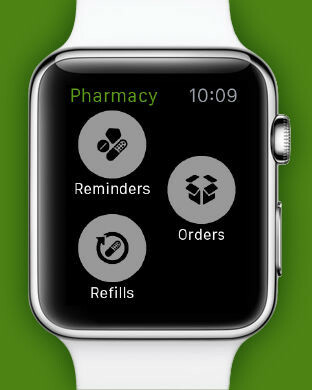 The updated app is more convenient and reliable than ever before with simplified refill ordering, easy prescription transfers, and clear-to-read order status indicators. - Stay organized with a full list of all your prescriptions filled at Humana Pharmacy, including those you no longer need and medication for your dependents. 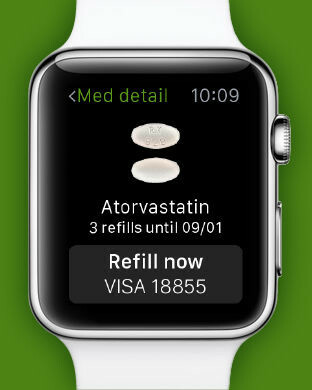 - Easily refill your prescriptions as soon as you sign in, straight from your home screen. - View important details about your prescriptions, such as available refill dates, doctor information, images of your meds, and related educational videos. - Know where your order is once it’s processed with color-coded order status messages. 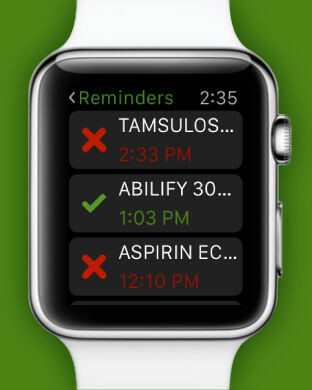 - Track shipments once they’re shipped to estimate when your medication will arrive. - Submit a photo of your current prescription label to easily transfer your prescription to Humana Pharmacy. - Request a refill of an existing Humana Specialty Pharmacy prescription and order it at the same time as all your other medication. 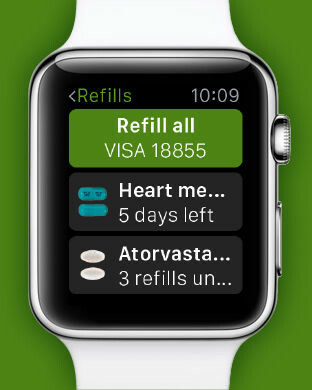 - Automatically receive your next set of refills so you’re sure to have your medication on time. NOTE: auto-refills are not available for Medicare customers. - Change or update your credit card information and make payments securely from the app. - Set or update your preferences, such as how you want to be communicated (by phone, email or text) or if you’d like to receive an alert when your total charge is over your price limit. - Shop over-the-counter (OTC) products with the Health and Wellness credit that may be part of your Humana member benefit. NOTE: available to Medicare customers only. Download the Humana Pharmacy mobile app now to manage all your mail-delivery medications with ease! Note: the Humana Pharmacy mobile app is available only to Humana members. For issues with this app, please email mobilefeedback@humana.com.